Actor Lorne Cardinal did it. Chief Shawn Atleo did it. So did the mayor of Vancouver. And it is not for the faint of heart. 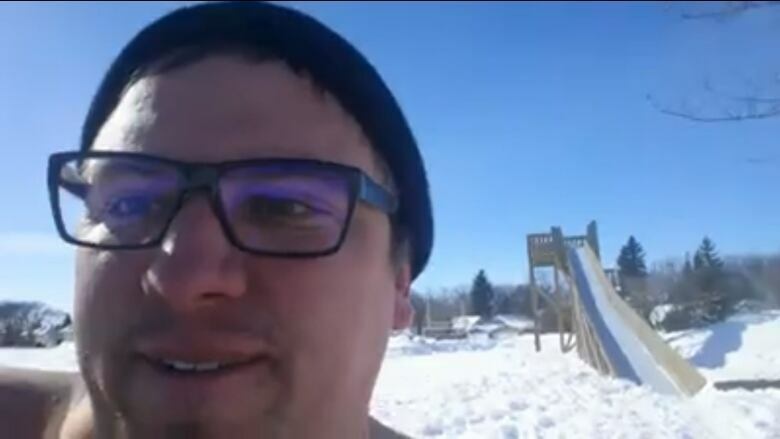 The polar bear dips and snow-diving captured on videos are part of the “Winter Challenge" -- and it's taking off across Canada. Actor Lorne Cardinal did it. Shawn Atleo did it. So did the mayor of Vancouver. And it is not for the faint of heart. It took off on the west coast, but it’s all over Turtle Island--and beyond-- now. 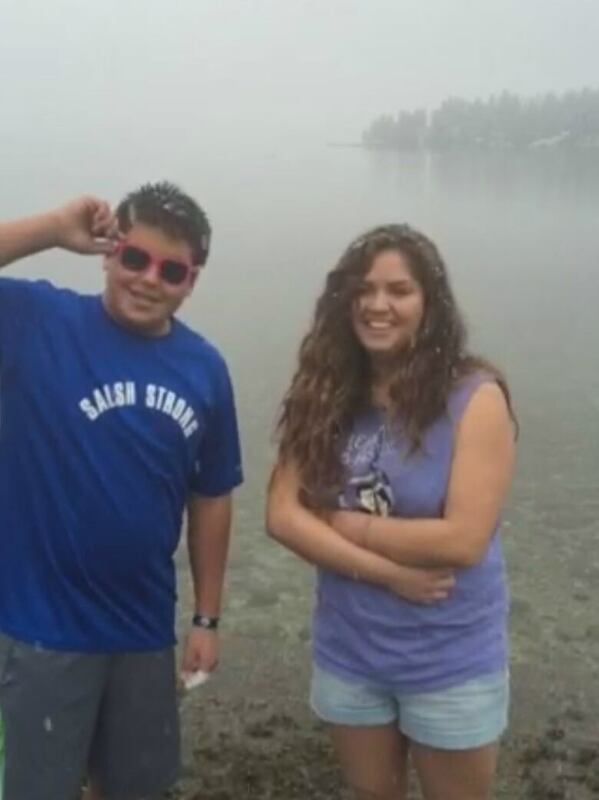 The Winter Challenge started with Kura Jack, 19, a second year psychology student at University of Victoria, who hails from Penelakut Island, in B.C.. Jack and her brother Cordell [left] sent the challenge out to their cousins, after taking a winter plunge. (Kura Jack)It started with Kura Jack, 19, a second year psychology student at University of Victoria, who hails from Penelakut Island, in B.C.. Wearing only shorts and a sports bra, Jack was video-recorded making snow angels in a lacrosse box, and her brother took his turn. They ‘nominated’ their cousins to take the challenge and their cousins nominated people too, “so that’s how it got going,” said Jack. That was at the end of February. Now it's gone viral on social media. Here’s how the challenge works: Some have fallen into the snow -- wearing very little -- to do snow-angels, some have leapt off roofs into snow banks, and an elder in her eighties walked into the ocean with her walker. The challenges are video-recorded and shared via social media. The nominees dare a list of their Facebook friends to do the same within 24-hours. Vancouver mayor Gregor Robertson took the winter challenge, and sent his nomination out to premier Christie Clark. It’s all for pure fun, laughs, and rejuvenation, but Jack’s mother Pamela Jack points out the spiritual aspect of it as cleansing the human spirit from the negative. People from Ahousaht First Nation took the winter challenge. “We do winter ceremonies that are similar to what they’re doing in the ocean, we go out in the mountains. As first nations people it’s how we brush the negative off…..and it started with two youth who wanted to go out,” said Pamela. “As nations it’s brought us all together, it’s not what we intended to do but it's really cool to see,” added Kura. Are you taking the Winter Challenge? Post your video on CBC Aboriginal’s Facebook page, or tweet to us, @CBC_Aboriginal, using the #winterchallenge hash-tag.